The Arctic Monkeys' fifth album is their "most original yet." 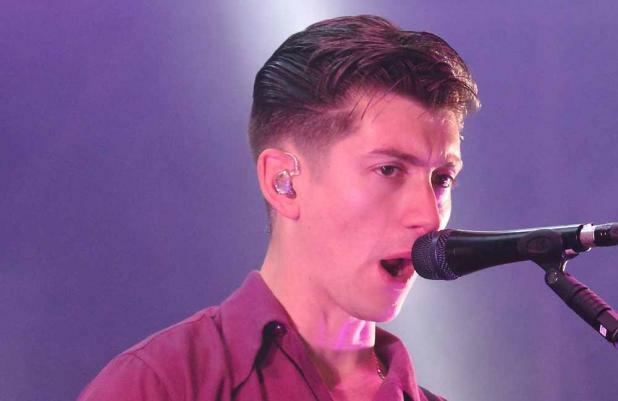 The band have just added the finishing touches to their next studio album, 'AM', and singer Alex Turner believes its R&B inspired tunes and '70s rock is a far cry from the indie music they were once known for. He said: "After our first LP I don't think we knew where we were going to go. We were never going to be a boring indie band. We were always going to explore." 'AM' will give an insight into Alex's private life and he reveals his personal favourite track is titled 'Arabella'. The singer remained tight-lipped about the song's inspiration, but confirms the name belongs to a mysterious woman he once dated. He joked: "Yeah, she's real, but I'm not going to give you her address." The bulk of the album was recorded in a shabby Los Angeles studio which the band - including Matt Helders, Jamie Cook, Nick O'Malley, Andy Nicholson and Glyn Jones - needed to clean before they could get to work. Alex quipped to Q magazine: "We had the brooms out." 'AM' is due to be released on September 9.